As of late, there seems to be no sub-genre more worn out in Hollywood than that of the vampire. 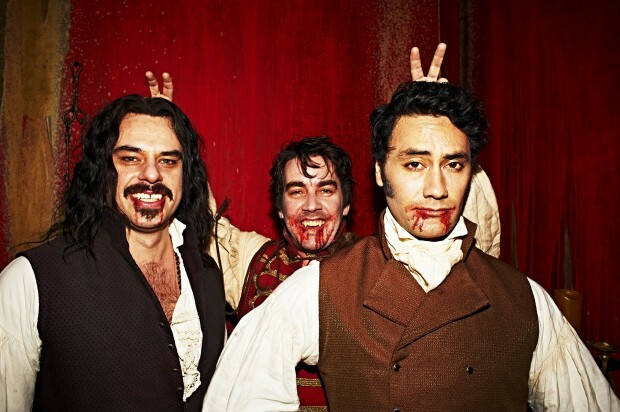 Thankfully, a pair of New Zealand’s finest comedic talents, Taika Waititi and Jemaine Clement are here to breath new life into the blood-sucking mythology with the vampire mockumentary What We Do in the Shadows. After enjoying it at Sundance last year, I recently had the chance to speak with the duo about the project. We discussed the timing of the project, the massive amount of footage they worked with, picking tropes, splitting up directorial duties, Waititi’s involvement in a new Disney project, and much more. Check out the full conversation below. The Film Stage You first came up with this idea ten years ago and it might not have worked as well back then. This recent vampire influx has given you more material to work with and better context for the audience. Were you happy you got to make it when you did? Taika Waititi: I was a little bit worried as the years went on, but..
Jemaine Clement: The reactions that we were getting when we told people we were making vampire movies wasn’t very promising. They were rolling their eyes when we were actually filming because there are so many vampire movies, but everyone now is at least educated in vampires. You guys perfectly tackle each trope of the vampire mythology. For your writing process in those early days, was it a huge board you wrote everything down with at first or did you structure it more initially? Waititi: I’m not sure we knew exactly what we were doing when we were writing, but we just concentrated a lot on the group dynamic and eventually I think we decided that something that needed to happen. We knew it was going to be a little bit about this new vampire and how he changes things, but the end and some of it were late developments. I believe you shot for a long time with around 125 hours of footage. Clement: Over a short amount of time. We only had 25 days of shooting. Clement: Kept the camera rolling the entire time. Some films have a completely other version made up of bonus material, like Anchorman. Do you feel like you could potentially do this with the footage you have? Waititi: No, I don’t think we could. We could make one using completely different takes, but it’s not like we had another movie’s worth of completely unseen stuff. I’ve been enjoying following your Kickstarter campaign. I have to say you guys are math whizzes with your percentage calculations. Can you talk about coming up with that idea or did you try and get funding elsewhere first? Waititi: Well, we really just wanted to try and sell the film at Sundance last year, but no one bought it. Clement: Well, they wanted to release it on VOD. A lot of people want to do that instead of theatrically release films nowadaways, but in order for us to have any kind of chance of making any money, we should also do a theatrical release. So the money for the Kickstarter is paying for the prints and advertising. Most movies will spend at least whatever the production budget of the film was again, or even more, on the advertising and we’re spending half of what we made the film. Since you’ve kind of lived with this film for awhile, has it been fun to be able to connect with your audience by doing the Kickstarter? To remind yourselves that there are people still dying to see this movie? Clement: Yeah, it is good. Yeah. The Kickstarter is quite a recent thing. All the other countries have liked it different ways, now it’s time for America. Have you noticed a different response in different countries or has it been a universal response? Waititi: Universally, it’s mostly positive — pretty much all over. But the comedy seems to translate really well everywhere. We were dubbed in Germany, so we couldn’t really tell. Clement: I couldn’t watch that screening. I couldn’t handle seeing my face with a different voice coming out of it. With this being the first feature you’ve directed, Jemaine, what was a normal day on set like, with you guys acting in it as well? Clement: We started off both doing the same thing. We both did the camera. We both talked to the actors. By the end we focused on what we were good at, so it ended up that would talk to the actors and Taika would talk to the other people, mostly. We’d sometimes swapped around. I love the production design of the film. It really sells this world they are living in and doesn’t feel cheap. Clement: That’s great, because it was quite cheap. You know, if you watch big films like The Hobbit films or Alice in Wonderland or The Lord of the Rings they have all the designs transcribed already. They just have to make them come to life and do what you want, for the most part. We wanted the set to be lit so we could sort of walk around wherever we wanted and improvise with all of the actors. We wanted that feeling so we could glide around if we wanted. The house was obviously a closed set, but when you go out at night, did you block off areas and everyone around you knew you were filming or did you just go for it? Clement: We tried to keep our crew as small as possible and just walk around. There were a lot of people around in some sections because they were just out at night. In terms of the influence of the film, I’m sure you’ve talked endlessly about the vampire films you liked, but what were some mockumentary influences? I could sense Zelig and Christopher Guest. Clement: Yeah, there’s one from the ’70’s in New Zealand. The character’s called Fred Dagg. That’s kind of the first mockumentary I had seen, where it follows this comedian but he’s a farmer. It’s all very realistic and deadpan, but kind of ridiculous. In the intro there’s the 70’s-esque New Zealand Film Board bumper. Is that were that comes from? Clement: That comes from most New Zealand films because they are sponsored by the government, so we’re kind of making fun of that. When it comes to the marketing, the posters that list “hilarious” as every quote are great. Are you heavily involved in that? Clement: We did like that. Clement: Rather than it be focused on it being scary or anything, because it’s not. Also, the New Zealand audience is a bit wary of comedies, so you need to really convince them. So if you write it on everything, they’ll believe you. Coming up with the different character archetypes, since it’s a lot of your friends in the film, did you know beforehand who would fit each character? Clement: Every couple of years we’d talk about filming it. I’d say, ‘I want to have the ridiculous haircut, that Gary Oldman hair,’ and than it would stand still for a couple of years. We’ve pulled [the characters] from other vampire stories and put them together and knew we wanted to tell it the whole time from the vampire point of view. That someone is in love with someone. That’s common in a lot of vampire stories. They are in love with a human and the relationship is doomed. A lot of vampire stories focus on a heightened aspect, but you revel in the mundane, which is very funny. Is that day-to-day aspect something you formed from the start? Clement: Yeah, probably our first idea was more special effects-y stuff and sequences, but we slipped those in more as we went along. Being on the festival circuit for some time, are there any films you’ve enjoyed while traveling? Waititi: I saw We Are the Best! by Lukas Moodysson about a teenage girl punk band. Really great. That’s the last good film I saw. Clement: Also, Here Comes the Devil was pretty terrifying. Waititi: About a Tasmanian devil? Clement: Yeah, it was a Tasmanian horror movie. [Laughs] It was pretty frightening. Oh, The Babadook was another one, which was great. Australian film. I don’t always go out and see horror films, but we’re in these sections. Like at Toronto and saw The Editor, which was great, and Spring. Taika, I heard you were writing the Disney animation Moana. How did that opportunity come about? Waititi: I think they wanted some sort of authenticity in the specifics and usually it’s just white people imagining what it’s like with other cultures. They don’t do much research but that’s changed a lot now. They did a lot of research and I think I was the only person they heard of that has some Polynesian in them. [All laugh] So you were the only one and the best for job. Waititi: People talked about The Rock being in it, but that’s only because they can’t think of a single other Polynesian actor. [Laughs] Thanks so much for talking with me. Congrats on the movie. 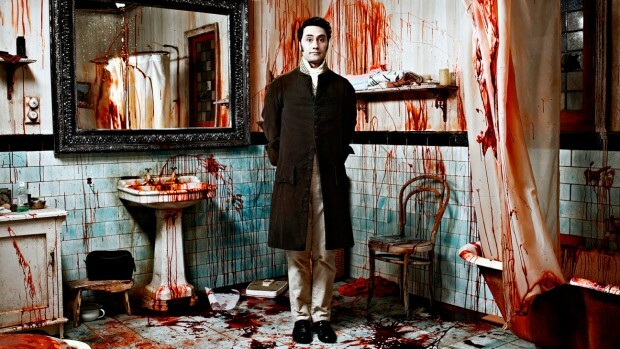 What We Do in the Shadows hits theaters on Friday, February 13th.